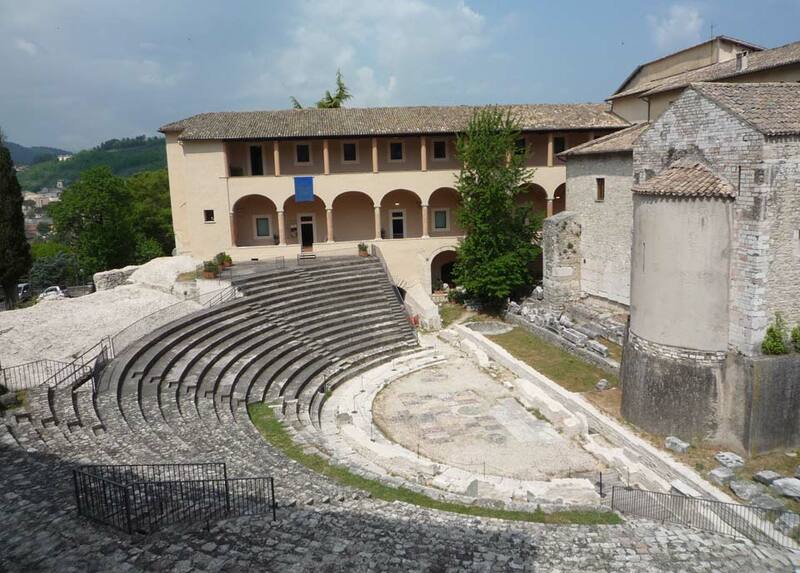 Villa Redenta is located few km far from the centre of Spoleto, the enchanting city of The Festival of Two Worlds, which has been quoted by several poets and writers. 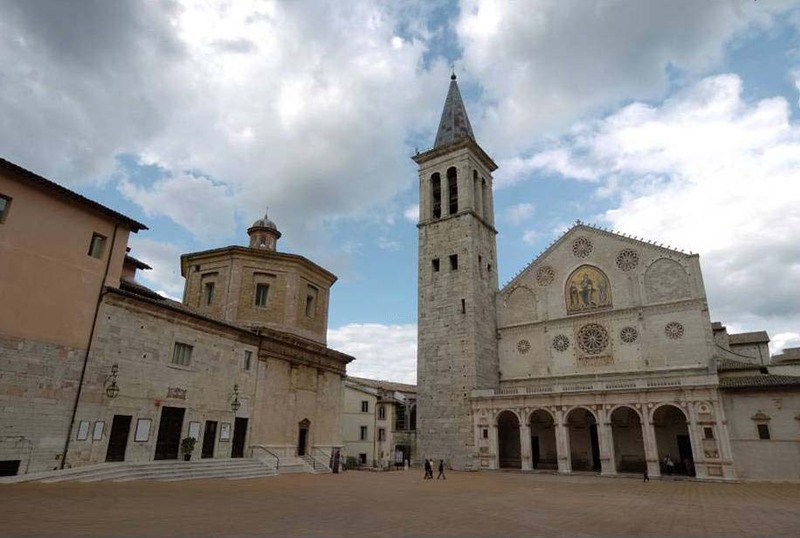 One of the most beautiful Italian site of the Middle Age, Spoleto will struke you with its beautiful corners full of art, culture and history. 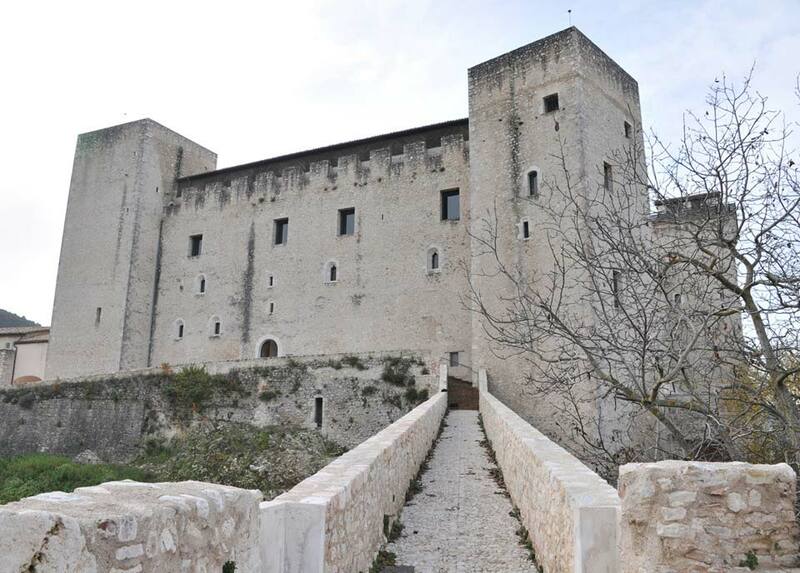 Placed upon S. Elia Hill, its construction dates back to 1359; a document dated 1362 designates Matteo Gattaponi work director; in 1370, the great work was not finished yet. 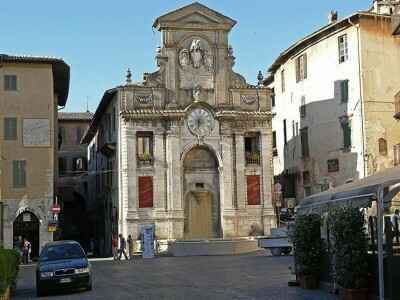 For centuries, till the sixteenth, it was theatre of the most important facts of the town; it gave hospitality to renowned guests, among them many Popes, as Nicolò V, Pio II, Sisto IV, and also Cardinals as Giovanni de’ Medici; another important figure was Lucrezia Borgia, sent here by her father, Pope Alessandro VI, so to drive her away from her future husband, Alfonso d’Aragona. 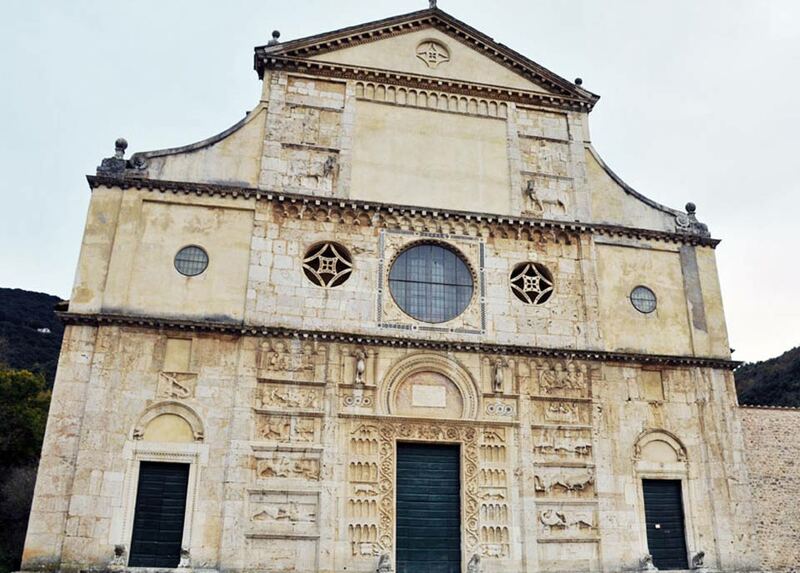 After the sixteenth century, its importance lowered till its transformation in a detention jail; today, recovered and restored, it justifies itself the ticket for a trip to Spoleto. 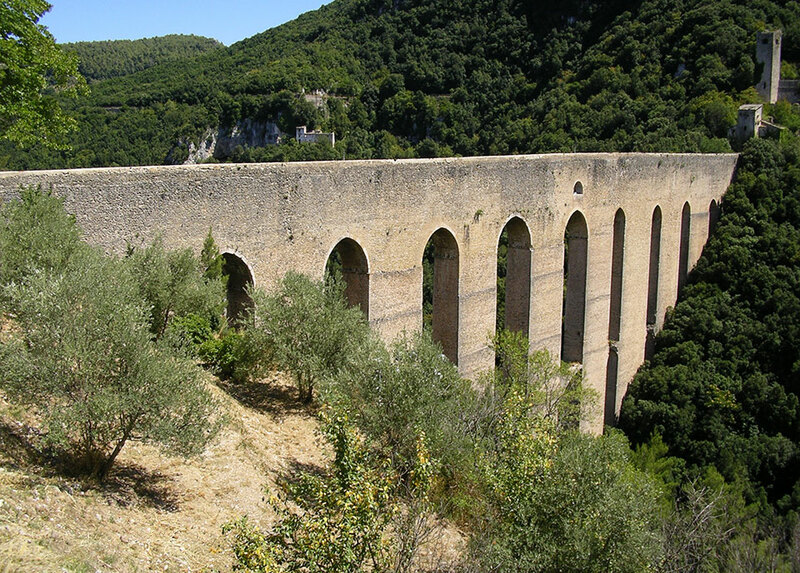 This imposing bridge, that connects S. Elia hill to Monteluco, belongs to XIII and XIV centuries; its construction is included among the building works by Cardinal Albornoz in 1353, that he entrusted to architect Matteo gattaponi. 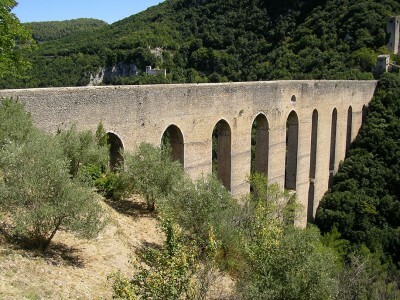 The first reason of its construction was to carry water to town; it appears as a late-medieval work and, probably, there is a gap between the eastern side (towards Monteluco) and the remainder; the plinthes of the two central piers let us think to a previous work, upon which the bridge has been erected by Albornoz. 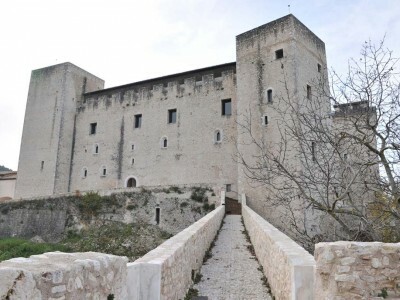 Watched over, on its sides, by two fortresses, Rocca and Fortilizio dei Mulini, its measures are extraordinary: lenght is 230 metres, height 76 metres; p piers joined by pointed arches of different measures. Fortilizio dei Mulini, on the side towards Monteluco, watch over the eastern side of the bridge; before running over the canal, water falled into tanks inside Fortilizio, giving an impulse to a water-mill active until last century. On the northern side of S. Elia Hill and close to its top, this square was already existing in roman period but it assumed the actual appearance between XII and XVI centuries, when the building activity of ages from Romanic to Renaissance created an incomparable whole, one of the most beautiful spots in Italy. The succession of different styles didn’t originate a chaotic outcome: on the contrary, the severe bell-tower, the exuberant frontage and the aulic arcade of S. Maria Assunta Cathedral compensate and balance each other, towards a bigger unity, and the visitor who enter the square coming down by Via dell’Arringo can feel how this spot change at any step he does. Really wonderful the view that the square offers in july, when it becomes seat of Festival of Two Worlds shows, in particular on the occasion of the closing concert. 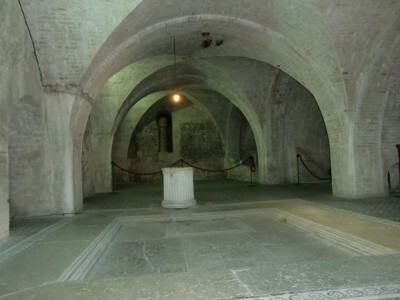 Excavated by a Spoleto archeologist between 1885 and 1914, the Roman House is placed beneath the city town hall.Ownership was attributed to Vespasia Polla, mother of Emperor Vespasian; its commanding position and its view, at the centre of the town, suggest that it belonged to someone of high civic profile and undoubted financial resources. 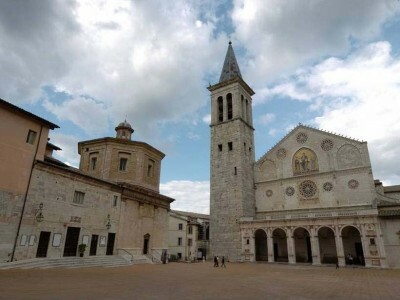 Over the last ten years, the house has been subjected to radical restoration work, in particular the mosaic floor and the movables unearthed at the beginning of the last century; the project goes on slowly but continuosly, thanks to the join efforts of the Spoleto City Council and the Archeological Supervisory for Umbria. In roman age, until last century, this was the most animated square in town, where the most important public events, ceremonies and meetings took place. In roman period here was the Forum, surely bigger than the actual square; once that the old buildings falled down, it was filled by medieval buildings and lost the rectangular shape, then recovered in the next coming years. Called, in medieval age, ‘Piazza de Foro’ and also ‘Piazza Maggiore’, it was destined to public market, its first animation mood, that every friday filled up the square with colors and goods. 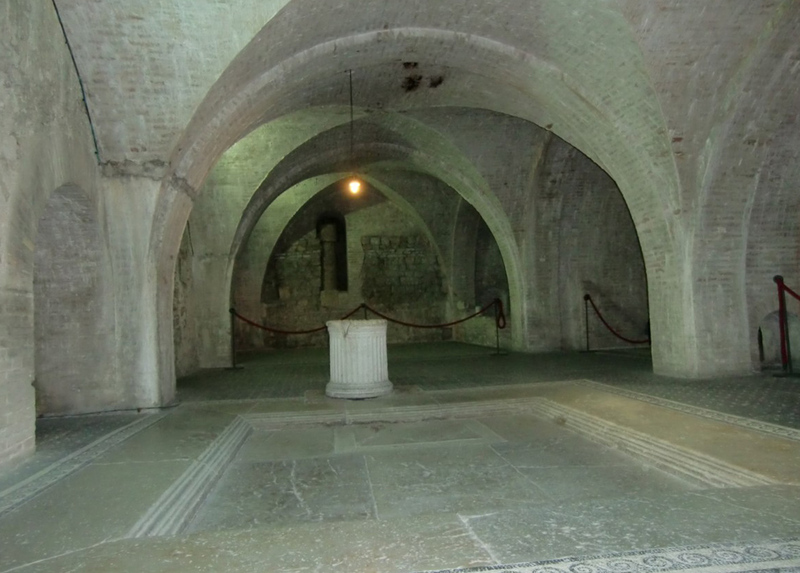 Built up in I century A. D., it was covered by soil and buildings during next ages. Local writers, until 800’s, ascribed the still visible rests to an old thermal building; in 1891, a design by Baldassarre Peruzzi was discovered, that surveied an approximate plan and allowed its discovering and identification. Other researches were started in 1938, but immediately stopped because of the war; the systematic restoration started in 1954 and today, together with the Archeological Museum, the Roman Theatre is one of the most interesting cultural spots of the town, and also seat of various dancing shows during Festival of Two Worlds. 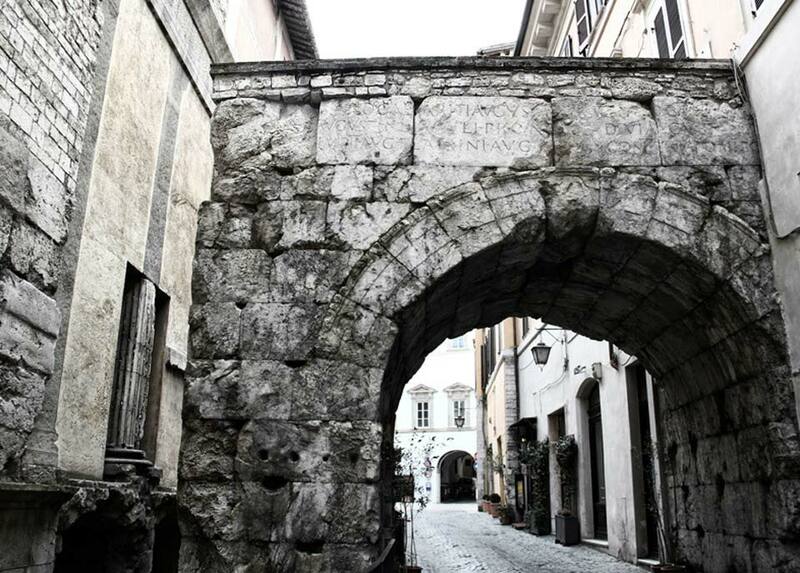 The massive Druso and Germanico Arch, tracing back to I century A. D., is still partly buried and hidden inside houses on the right side of the street (Via dell’Arco di Druso). 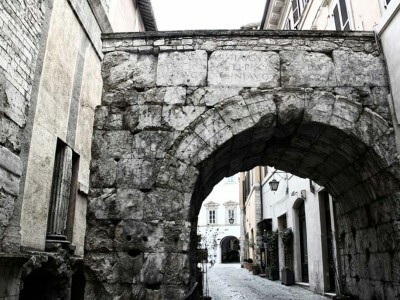 Made up by big squared blocks of stone, by the inscription on its frontage we understand that it was erected on the initiative of the Spoleto Senate in honour of Principles Druso and Germanico, respectively son and adoptive son of Emperor Tiberio; it represented a monumental entry to those, coming from Rome, who entered in town through the Monterone Arch. Choked by surrounding houses, it was to be pulled down; but in 1955 the remaining part of the eastern pier was set free till the original laying, on the occasion of repairing works in the adjoining roman temple. Walking down the central Via dei Duchi, from Piazza del Mercato towards Duomo, you cross Via di Fontesecca, sloping down on the left towards Piazza Pianciani. Its name is due to a fountain that was on the way; it is one of the most distinctive streets in town, with some building surfaces of old medieval houses still existing, alternated with typical handicraft shops, wineries and pubs, ‘watched over’ by the many windows facing the way by overhanging apartments. Beyond S.S. Flaminia, looking to Monteluco, you can see the steep stairs upon which the San Pietro Church dominates, whose large square offers a marvellous view of the town, with Rocca and Ponte delle Torri on foreground. On the outskirts of the church (late Romanic, centuries XII-XIII ) was a large archaic necropolis; also the remains of some old factories, that stood here, have been discovered, while some remains of a big sepulchre are on the northern-east side of the church, nearby the little S. Silvestro Church. 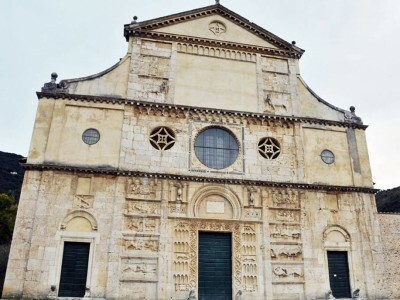 In 1419, here were recovered the relics of S. Pietro’s chains; since then, it became the favourite sepulchre seat of local bishops, as stated by the discovery of some ancient graves; probably, it was the first Spoleto Cathedral. 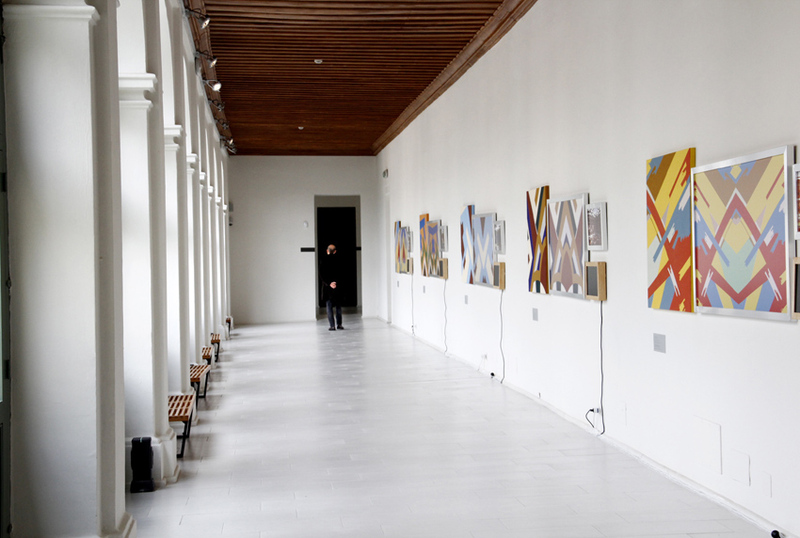 – the Giovanni Carandente collection, more than 20.000 volumes given by the renowned historical and art critical. 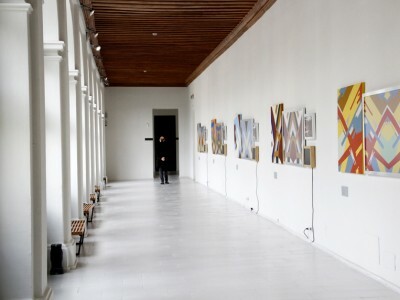 – On the ground floor there are works by young umbrian artists, while on the first floor rooms are divided for artistical research areas of contemporary authors; here you’ll find also the original outline of Teodolapio’, Alexander Calder’s sculpture placed, since 1962, in the square in front of the railway station.